I love skittles (the sweets) and as soon as I'd finished this design, I had to go out and buy a packet. I didn't intend it to look like skittles but the colours just ended up matching, thus we have leopard skittles! I started off with a white base using Essie Blanc. 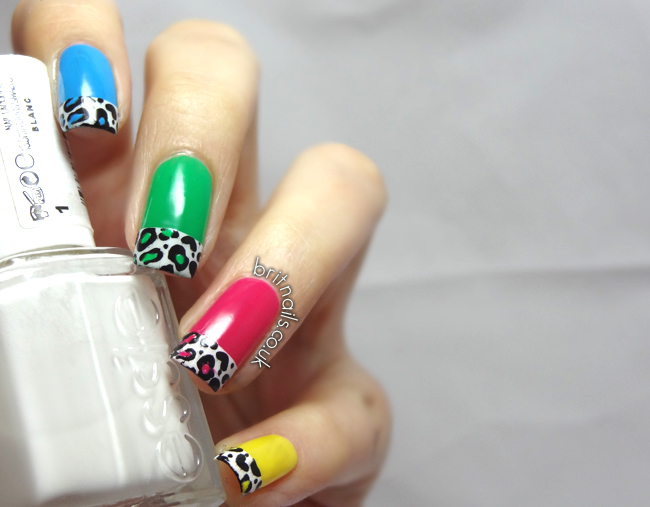 I then stamped a leopard print design from Konad plate m57, and when everything was completely dry (helped along with Sally Hansen Insta-Dri) I taped off 1/4 of the nail and painted over the design with bright colours, before removing the tape and leaving the leopard tips. 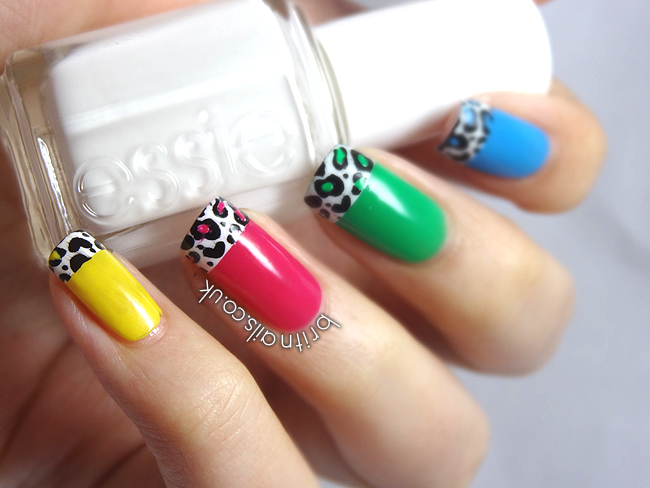 I filled in the leopard print with the matching colours using a tiny nail art brush. The bright colours are Barry M Cyan Blue, Spring Green and Shocking Pink. The yellow is Rimmel Sunshine. Definitely not the most subtle design I've ever done! wow i love it! to fun and perfect for summer! Ahhhhhhhh this is painfully cute! Guest Post over at Polly Polish!